Despite the bad rap catechism has gotten over the years, it is making a huge comeback in Christian circles and there’s a good reason why. What is catechism? Here we are specifically talking about the Heidelberg and the Westminster catechisms, products of the Reformation from the 1500-1600’s. Catechism is a simple way to teach theology in a question/answer format. For example – “Q: Who made you? A: God.” Questions and answers vary in length. They cover everything from the trinity, the covenant of grace, justification, life after death, and everything in between. 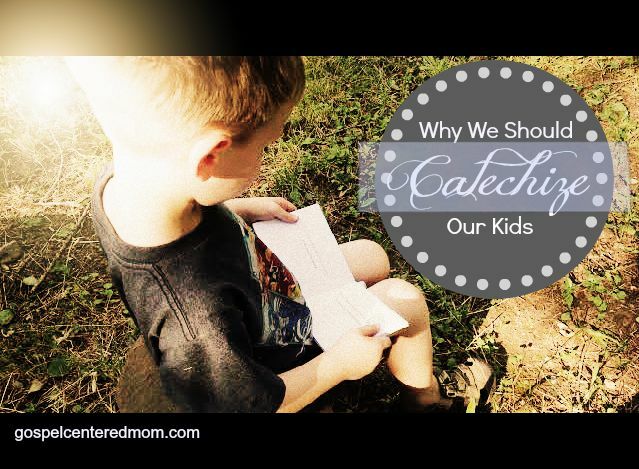 Why catechize? The biggest reason to catechize our kids is so they know how to defend their faith, both to the world and to their own hearts. It gives them a ready answer when confronted with Satan’s lies. Theology isn’t something kids will haphazardly learn on their own. It requires training. Catechism is thorough and purposeful, ensuring that no topic falls through the cracks. Aren’t memory verses enough? Catechism doesn’t replace verses – it helps explain them. We know that memory verses pulled out of context can lead to misunderstanding. Memorizing a whole bunch of verses doesn’t necessarily develop a cohesive theology. Catechism lays a foundation. It helps our kids connect the dots and understand their verses within the context of proper theology. It organizes doctrine in a logical way. We can think of catechism as hooks in our kids’ brains, ready to hang verses on. When should we catechize? As soon as your kids can talk, they can memorize catechism. We started with our kids as young as two. Why start so young when they can’t even understand what they’re memorizing? The point is to take advantage of the years when their brains are soft and able to retain information long term. My three-year-old can barely pronounce “sanctification,” but I’m purposefully putting information in his brain that will be there for him to access when he is older. I think of it like this: my sweet son isn’t old enough to sharpen his own sword, but there is a battle waiting for him so I am sharpening his sword for him. My kids are teenagers. Should I bother starting now? Yes! It’s never too early or too late. Make it a family project and learn together. You will be amazed at the conversations the catechism will spark. The catechism makes a great family devotional, or a good supplement to what you are already doing. I’ll always remember my pastor saying: “If we don’t catechize our kids, the world will.” The world has it’s own organized set of “doctrine” coming at our kids from every direction. Are we ready to counteract it? 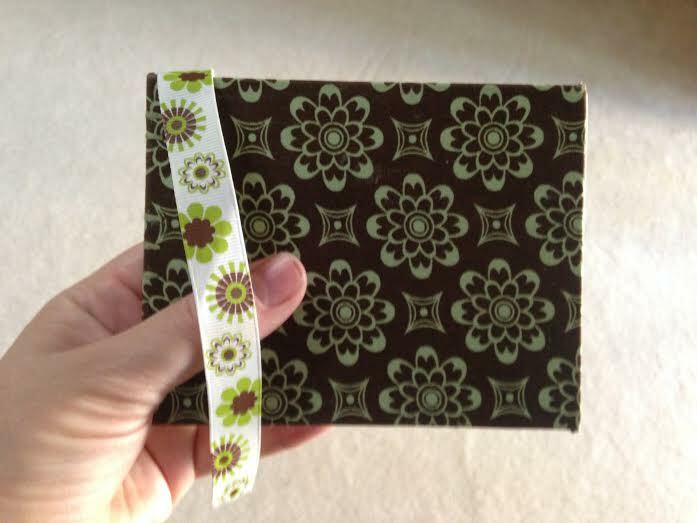 My favorite place for catechism books is “The Purple Carrot.” You can email her directly to specify your own beautiful handmade book. Her books last forever, making a cool family heirloom. “Reformed Kidcast” is a fun, free podcast we like to listen to with our kids to reinforce the catechism. 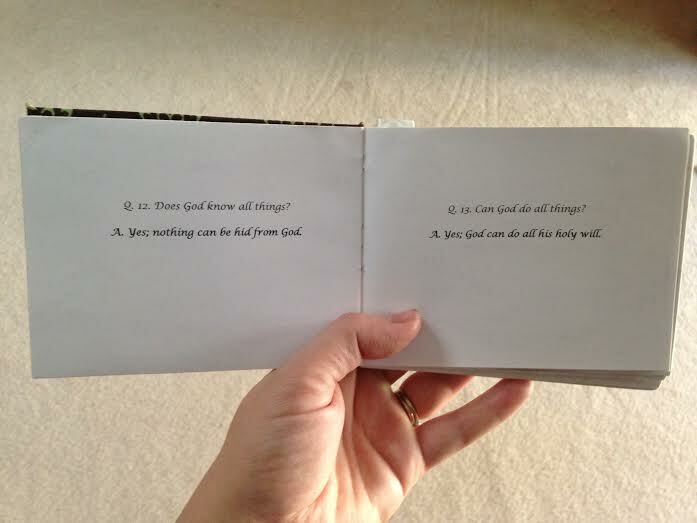 And now…your sneak peak at catechism in action! Looking for a fresh new Bible study for the spring? 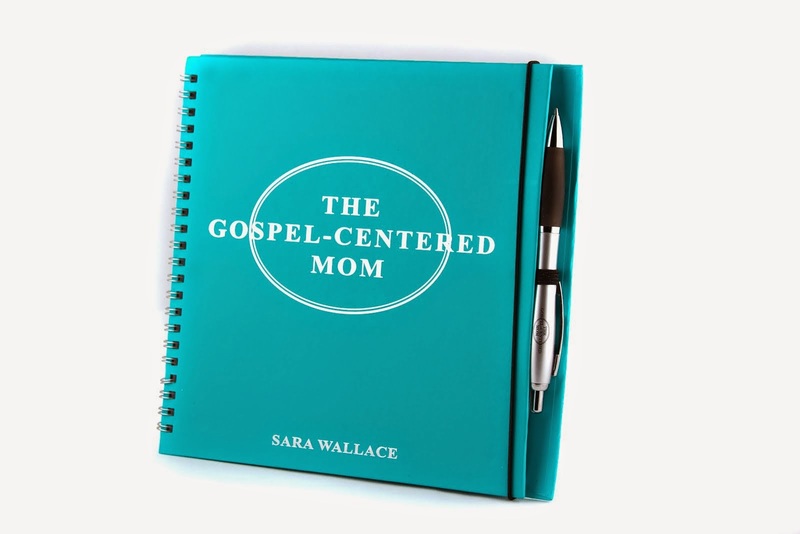 Check out “The Gospel-Centered Mom,” now available on Amazon and Etsy! Thank you for this, Sara! It's encouraging to hear of other moms doing what I'm doing! I started catechizing my daughter as soon as she could point at and name multi-syllable words like strawberry. My husband and I have been completely blessed by the process and the ability to relate to our now 2 1/2 year old in a spiritual way. She already has a basis to understand some aspects of our scripture reading in family worship time. We pray the Lord will use it to give her an understand of the Word from a young age. Free download with Amazon Prime as of my writing this! I have been thinking about how to be more intentional with my kids and I remembered this post! Could you tell me what your process of catechism actually looks like? Do you sit down with the book each day? Is it a specific time? Do you do one question over and over? I know it may look different for each family but I’d love more detail on how you’ve gone about it.